So.... 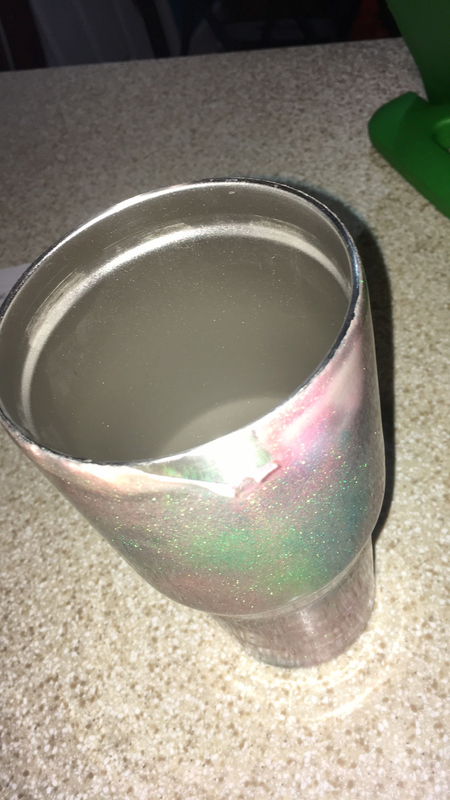 I seen friend of mine drinking from this cup last Saturday night while watching the football game. I asked her if I could take a look at it.... I removed the lid and began to peel away whatever they called this coating. Her eyes got as big as golf balls and she said..."wtf are you doing??" Now... 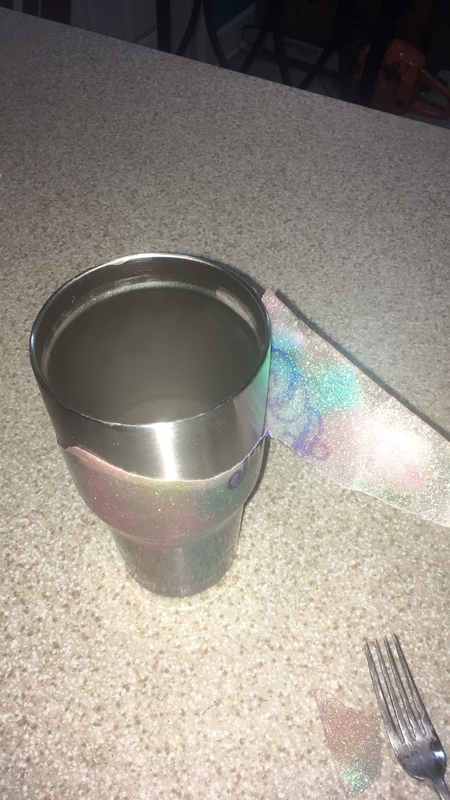 I knew where the cup was bought and know the woman that does them personally... 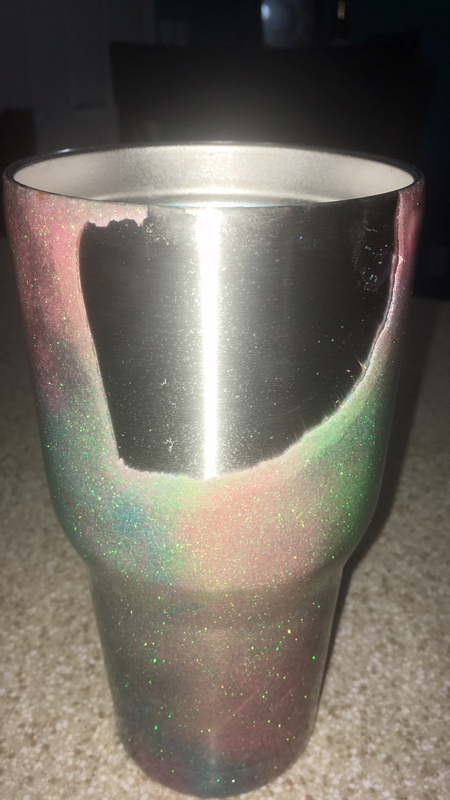 So... my response to her was'' This is exactly what you get from people that have no idea wth there doing.." I explained the delamination and all that and told her I would redo the cup for free.... There were also several people around that I do a lot of work for including two of my best clients, so I figured it was ok to show out for them a little lol..
Don't slip up on that prep work boys .... It'll be back to see ya !!!!!!!!! WHAT prep work? There wasn't any! Good Job, hope it translates to more business for you. Thank you for showing us... It helps to SEE the problem! And I bet she is cheaper than you too... You should probably lower your artificially inflated prices. The problem is that her shoddy work will be conflated onto the market as a whole in the eyes potential customers. Two schools of thought... these people are idiots, and these people are idiots with money. Sometimes I think the people that DON'T take advantage of that are dumb ones. Im with ya @WileECoyote . And to be honest the work she does looks really good, it just doesn't hold up long. Maybe I got her on the right track now , idk. Personally I couldn't care less if I never done a cup again.